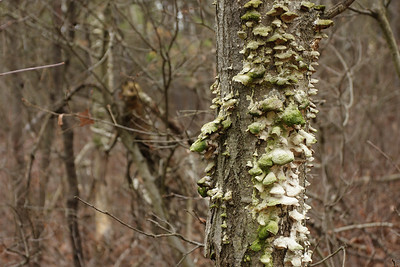 Photos from a visit to the Albany Pine Bush Preserve, a rare inland pine barrens in upstate New York. 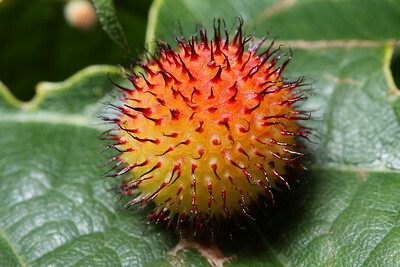 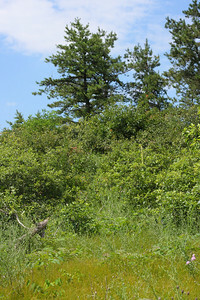 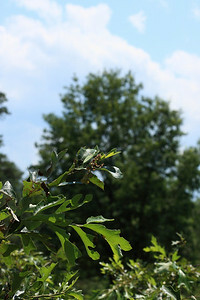 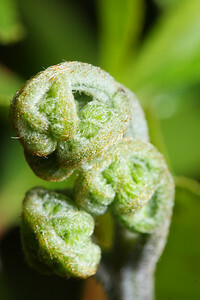 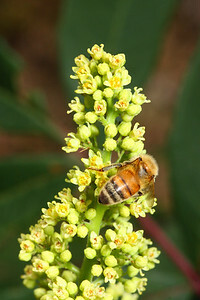 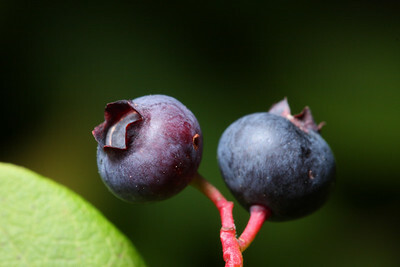 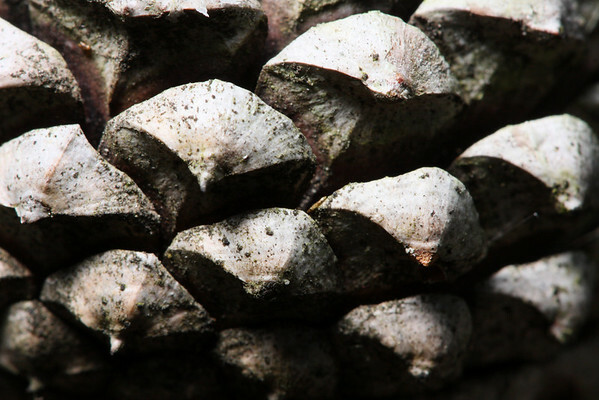 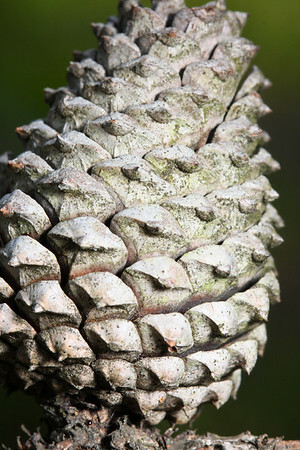 The Pine Bush is a sandy, hilly area with various pine and scrub habitats, and is home to a number of endangered or rare species of plants and animals. 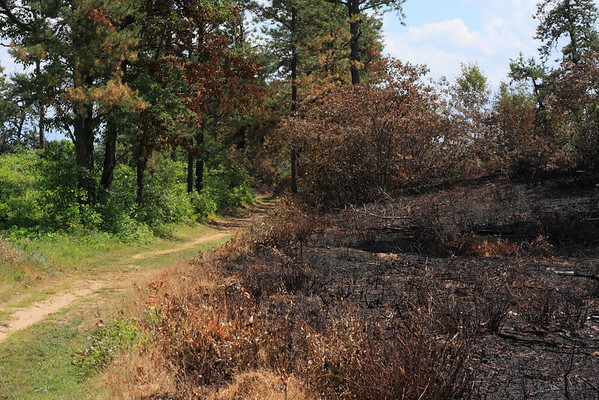 The area is especially interesting for being a fire-maintained ecology, and regular controlled burns are performed to safely replace the natural forest fires that the native plants depend on for clearing out fast-growing competitors and enriching the soil with mineral-rich ash. 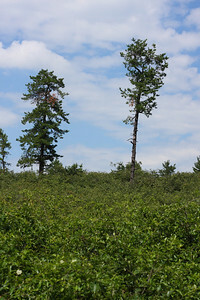 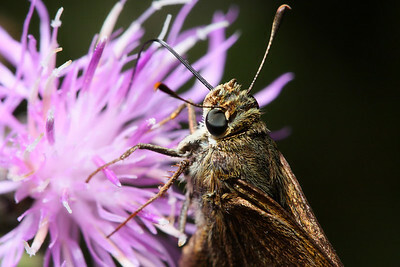 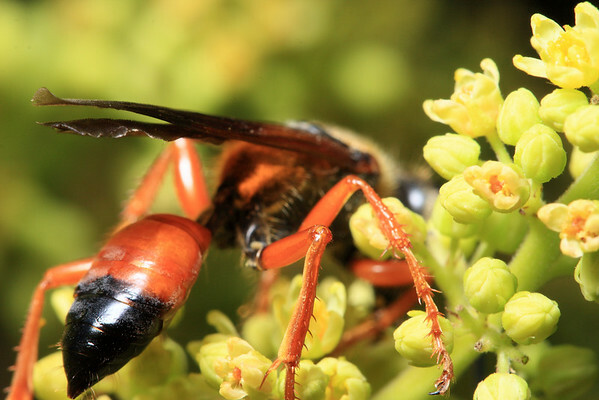 The Albany Pine Bush Preserve Commission's primary goal is protecting the Pine Bush from development, which has already destroyed much of the habitat and fragmented the rest. 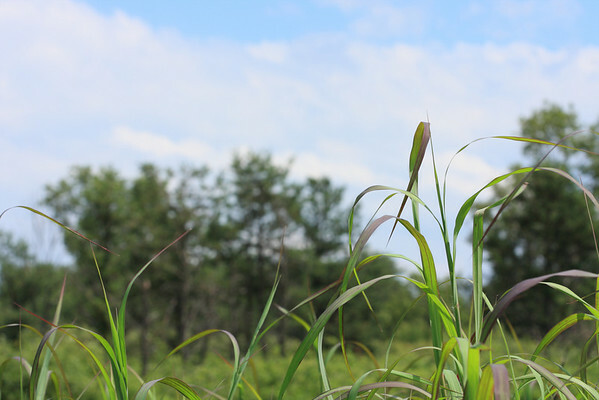 Tall grasses in the Pine Bush against the trees and sky. 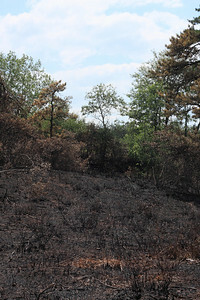 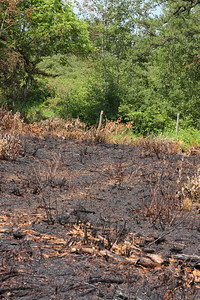 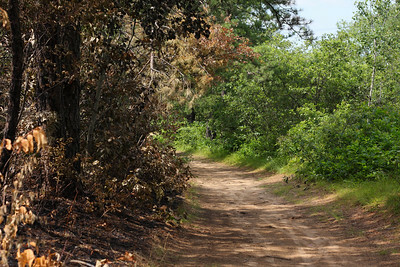 The edge of a burn zone in the Albany Pine Bush, next to one of the maintained trails. 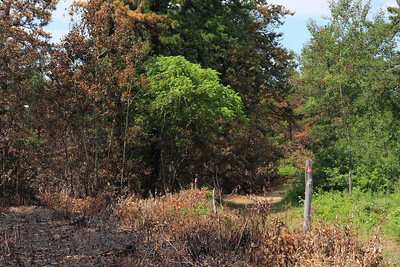 The edge of a burn zone in the Albany Pine Bush, a fire-maintained pine barrens in upstate New York. 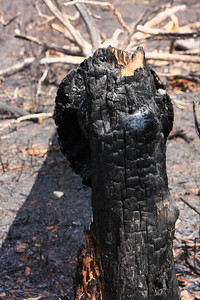 A burned tree stump in the controlled burn zone. 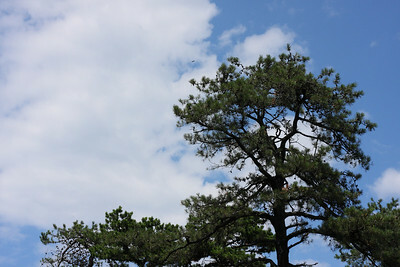 A pitch pine in the Albany Pine Bush, with a turkey vulture flying far overhead against the clouds. 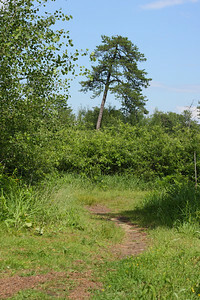 A trail through the Albany Pine Bush. 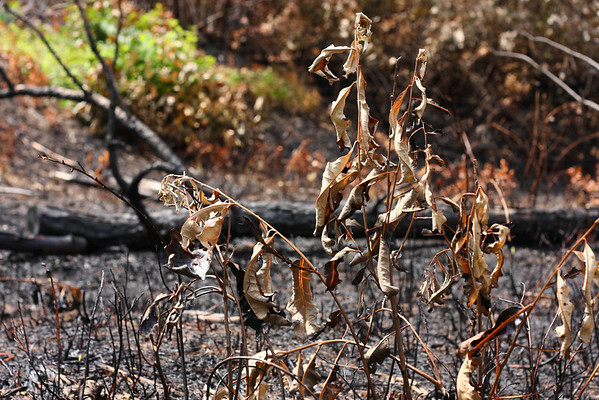 Dead leaves in a controlled burn zone. 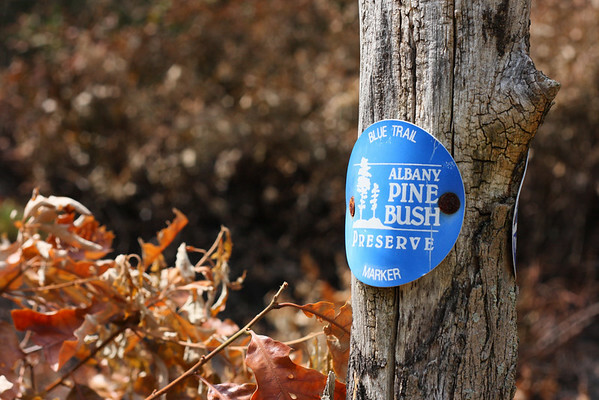 A trail marker in the Albany Pine Bush Preserve, along the edge of a controlled burn zone. 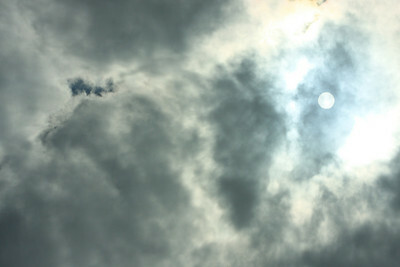 The sun shines through a patch of clouds.